Whether you are a young cadet or interested in hats, consider adding Army Cadet Fitted in your collection. They are made from cotton thus they feel soft, comfortable and light. Most of the Cadet and Beret have an attractive army design. 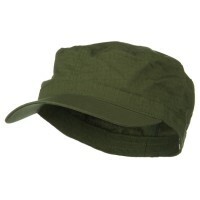 Army cadet fitted caps are inspired by the modern-day army beret hats. You can see military servicemen such as the marines and army personnel wear this type of hat in the field. These hats are made from breathable structured fabric such as wool, cotton, and polyester to name a few. 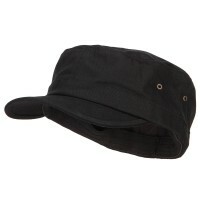 Thus, these hats fit snugly around the head yet still provides comfort and air circulation around the head. It also features a wide brim visor for added sun protection. 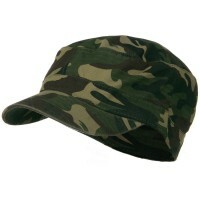 Although the army Cadet Fitted Cap get their inspiration from the army hats, they are now available in all designs imaginable so you can get studded, beaded, and appliquéd caps to name a few. Today, army cadet fitted caps are one of the mainstay headwear that people wear. They are great worn with jeans and shirt but they can complement all other types of fashion styles. The guerilla look of this particular hat adds a bold statement to your entire look. Army Cadet Berets are best to show your support to the military but more than that, they are also good fashion pieces that you can wear with your daily clothes. Check our collection of Army Berets that will fit your usual fashion sense. For starters, you can try the traditional Cadet Caps that comes in different color palettes such as black, khaki, olive and stone. Other military-inspired designs include those that feature the camouflage pattern and other military colors. They are designed to be highly functional as they come with thick sweatbands to prevent sweat from streaming down your face. If you don’t like military-inspired designs on your Beret Caps, you can opt for those that come with embellishments such as the Colored Gem Tam. It has a whimsical design that will surely make heads turn towards you. Other embellishments used in making these fun caps include beads, bows, studs and zippers. In a nutshell, you will be able to find the perfect decorated Beret Caps that you will definitely fall in love with at first sight.